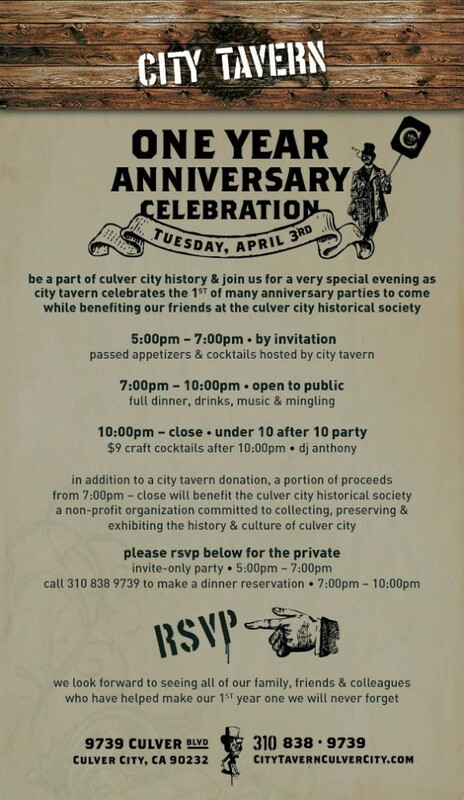 Be a part of Culver City history and join us this Tuesday, April 3, 2012 for a very special evening as City Tavern celebrates the 1st of many anniversary parties to come while benefitting the Culver City Historical Society! Click here to RSVP for the private invite-only party! – 5:00 p.m. to 7:00 p.m. 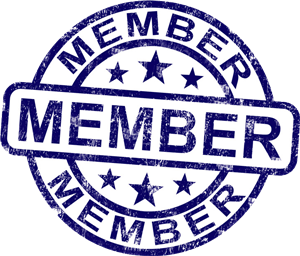 Call (310) 838-9739 to make a dinner reservation – 7:00 p.m. to 10:00 p.m.